One channel of achieving ICTR goals is by organising international or local conferences. ICTR has initiated, planned and managed the following major international conferences. In each case the overall objective has been to review the state-of-the-art and the problems in context, and to determine how best to minimise, or eliminate if possible, the environmental impacts of anthropogenic activities aiming at sustainability. International Conference on Urban Shelter in Developing Countries, London, September 1987. IYSH and UNCHS-HABITAT, Nairobi, Kenya. Attendance: 293 persons from 32 countries participated. published by the International Centre for Technical Research (ICTR), London. The First International Conference on Environmental Pollution (ICEP.1), Lisbon, April, 1991. Government of Portugal; UNESCO and UNEP. Attendance: 439 persons from 43 countries participated. 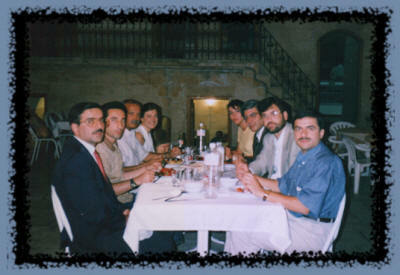 The Second International Conference on Environmental Pollution (ICEP.2), Barcelona, September 1993. Regional Government of Catalonia (Spain); UNESCO and UNEP. Attendance: 497 persons from 46 countries participated. (Vol. 1); 0 9521673 1 X (Vol. 2). 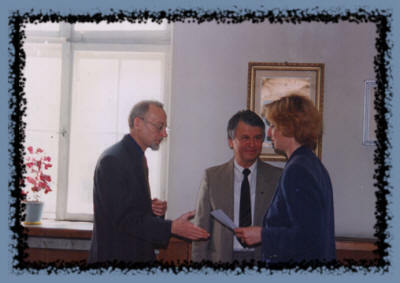 The Third International Conference on Environmental Pollution (ICEP.3), Budapest, April, 1996.
and Regional Planning, Government of Hungary; UNESCO and UNEP. Attendance: 366 persons from 37 countries participated. (Vol. 1) ; 0 9521673 4 4 (Vol. 2). In addition to the above international conferences, we organised highly dedicated, short courses in specific subjects. ICTR has initiated, planned and executed a large number of such events at the request of the beneficiaries, mainly government ministries and local authorities. Earthquake Engineering (1989) , given at the Institute of Earthquake Engineering (IZIIS), Skopje, Republic of Macedonia. 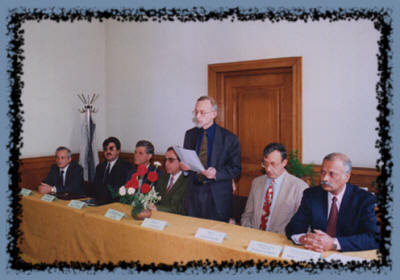 For the first time in the cold-war era the following distinguished experts from the east and west collaborated to give this seminar jointly: Professor H. Shah (Stanford University, USA); Professor R. W. Clough (University of California at Berkeley, USA); Professor O. Shebalin from Russia; Professors O.C. Zienkiewicz and B. Nath from the UK. The event was sponsored jointly by ICTR and UNESCO. Remediation of Contaminated Land (1991) , given at Queen Mary & Westfield College, University of London. Sponsored by ECPR and a number of local enterprises, it was given by UK experts mainly for the benefit of UK professionals. Number of participants: 62. Solid Waste Management (1994), given at Bodrum, Turkey, mainly for transferring technology to solid waste management professionals working for the municipalities. It was given by experts from Italy, Turkey and the United Kingdom. Sponsor(s): ICTR, the Turkish Association of Municipalities, The European Commission, and UNESCO. Under contract CEC MED-CAMPUS #349. Number of participants: 116. Environmental Impact Assessment (1996), given in Sofia, Bulgaria, mainly for the benefit of Bulgarian EIA professionals. It was given by experts from Belgium, The Netherlands and the United Kingdom. The event was sponsored by ICTR, Bulgarian Ministry of Environment, and the Commission of the European Communities. Under contract CEC Tempus JEP-01815. Number of participants: 55. Air Pollution (1997), given in Ankara, Turkey, mainly for the benefit of local government professionals. Sponsored by ECPR, The European Commission, UNESCO and Ankara University, the course was given by experts from the United Kingdom. Under contract CEC MED-CAMPUS #349B. Sustainable Solid Waste Management (1999), given in Sofia, Bulgaria, mainly for the benefit of SWM professionals from Bulgaria, Georgia, Greece, Romania and Turkey. Sponsored by ICTR and NATO, it was given by experts from those countries as well as from Belgium and the UK. NATO contract #974630. Sustainable Solid Waste Management (1999), given in Skopje, Republic of Macedonia, mainly for the benefit of local SWM professionals. Sponsored by ICTR and NATO, it was given by experts from UK, USA and Bulgaria. NATO special contract #975991 (Activity 2). Number of participants: 73.